I was stunned. It was a short stroll from the shopping center with my friend and driver, Peter, to the restaurant where we would enjoy lunch together. I was hoping for a small table outside where we could enjoy the sights and sounds, to say nothing of a cool breeze it would afford. But, as we neared the popular venue in Kampala, I almost came to a complete stop as my eyes fell on a brilliant red Lamborghini It was parked directly in front of the outside seating at Cafe Javas. It was posturing like an peacock with its doors elevated in pride. Eight to ten men curved around the vehicle with their phones and cameras pointed in the direction of what has to be one of a kind in the undeveloped nation of Uganda. I was more than curious. My friend and host, Evelyn, was more than happy to give me some of the details. The extremely high priced vehicle "is owned by the lady sitting there at the table in front of her car." She told me the lady was a pastor and had many cars. She was decked out in fine jewelry and clothes. She was there long before we came and, presumably long after we had gone. She was basking in the admiration of those who wondered at this luxury car. I was really annoyed on behalf of the hundreds of thousands of poor people in this country ... some of whom must be part of her congregation. I was also saddened on her behalf. She reminded me of one of the 17 year old sons of our African daughter Sera. Both seem to have adopted a false identity. Like all of us, they lost their identity. The origin of this loss is recorded in Genesis 3. Sera's son is looking for some sense of identity in gangsta fashion and swagger. 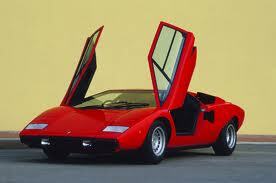 I will resist my speculation on the false identity of the owner of the Lamborghini. Too many people will misunderstand me and surmise I'm opposed to wealth. Nothing could be farther from the truth. But those who are pursuing some kind of image usually are those who have lost their identity. In the beginning we (the first sons) looked like God (Genesis 1:17) and we were comfortable and fulfilled in being the family of God. But when God's arch enemy separated us from the Father, we became orphans and began to depend on our souls for protection and provision. With the loss of identity came the pursuit of a counterfeit image. I had no idea I had lost my true identity. I didn't realized I was a spiritual orphan, but had a Father who wanted me to come home. At 19, my Brother, the Firstborn of the Father, came looking for me and brought me home. I've been a son of God since then. (John 1:12) Though I sometimes behave as an orphan I know who I am. I am a son of God. Jesus is the Perfect and Pattern Son of God for all sons of God. He is my role model. No other substitutes will work. 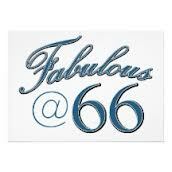 Today I celebrate my 66th birthday. My wife read the following Scripture to me. What if we sat still long enough to receive God's dreams for our lives? There's a lot of talk about dreaming dreams for God. Attempting great things. That's awesome, but let's start by sitting still and and listening, by simply asking, "God, what are YOUR dreams and what part would like me to play?" There is no end to my identity. There will be an end to my dreams and God's dreams for me. But, I will always be who Jesus made me to be. With this reality as my foundation I look forward to every year of growing older in God. I love being part of the household of the Lord's own house. And, I intend to still produce fruit in my old age as I remain vital and green.